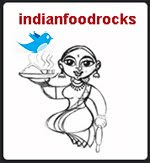 Indian Food Rocks: New business? Not! 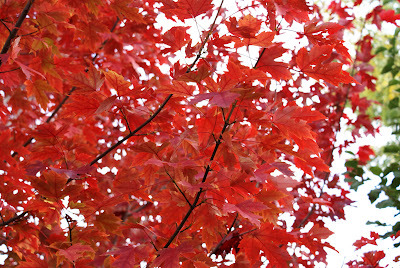 Fall foliage! what a beauty! Thanks, Manisha! Check ur FB, some odd person called Foccacia sent you a request ;). Before I finished reading the post, I knew that she'd quit the business once she'd done the yard at home :) It is a lot more exhausting than it looks. Have you heard the story of a Japanese gardener who asked his son to clean the yard? The young lad make it spick and span, but the father didn't approve, so the son did it again...and yet father said it was not 'done', after anther attempt the son was at his wits end...The father came out, shook a tree and a few leaves fell on the ground, and he said, "Now, it's done." Haven't heard that story, Anita! And no, there was no way I would have been able to fight the might of the wind and clear the whole yard! It huffed and it puffed and blew all the leaves down. There are leaves everywhere! Several reasons that I know of: they get all moldy and we sneeze our lungs out, as fall is usually a damp season as well. It's also not good for the lawn. The other reason is that it is a fire hazard. 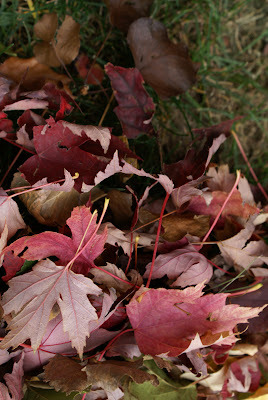 We usually aerate the lawn in fall and the yard has to be cleared of all leaves for that. But if I had a choice, yeah! I'd leave them there! I guess the kids had nice time playing, and as well cleaning up the mess !!! I love the rising from thedead game though it would take a whole lot of more leaves for me to rise! ha ha ha..that was funny!! i think i am unlucky on the neighbour front too..i get tons of leaves from their trees and a dumb dog..who still does not get the biforcation between my yard and theirs...and we have a fence for goodness sake! !